Yes, let's go to Atria Shopping Gallery for some fun and food. oolala! this is definitely an interesting event! should visit this weekend! I so want to go for the stand=up comedy. I enjoy some of these comics on YouTube and would be great to watch them live. Interesting event. Still don't have change to visit this place. Nice place to visit, definitely. It is not too crowded, which I like so I don't have to feel rushed. I love visiting Mango and Violetta there. It was a real fun combination to have both food and comedy together hehe. Have fun! 2nd time hearing of this event...it would definitely be a great event.. I wish I can join for the event. 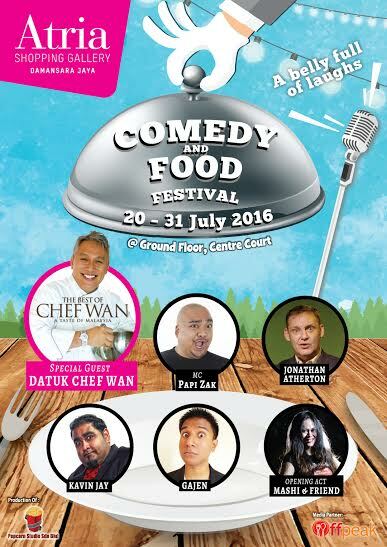 It seem a wonderful event and meet Chef Wan too. 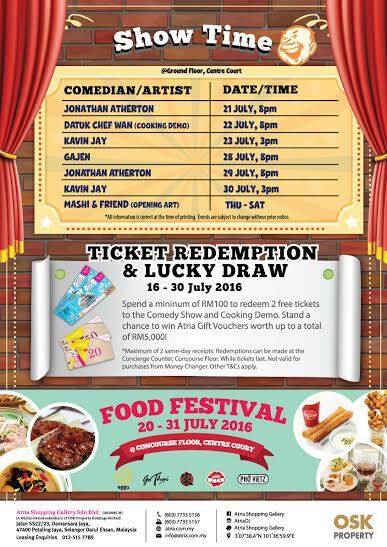 i love Atria mall for throwing out so many fun events! would love to visit some day!